Hi there. 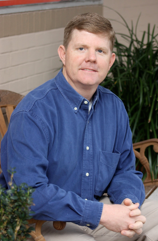 My name is Stuart Nolley and I’ve been improving homes in Austin Since 2002. With a previous career in the software industry, I understand the need for careful planning, project management and attention to detail. Most of my new business comes from referrals. My clients tell their friends “speak to Stuart Nolley.” They hardly ever say “Call Crossroads Construction and Design.” The fact is, remodeling is a very personal experience. It is not a “big company experience”. In fact, there are no national remodeling companies to speak off. When you remodel a home, you want to deal with someone you can talk to, someone you can reach and who will understand you. I am that guy. I live here in Austin with my four children. I am a part of your community. We can talk about honesty, integrity, quality workmanship and so on… But a picture has a thousand words and on my home page you will find links to Houzz with hundreds of pictures, each telling their own story. Look them over and you will discover why you should call me to take care of your next home improvement project.